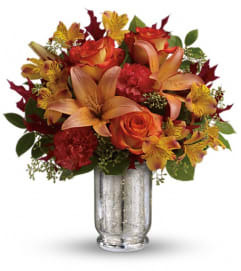 Surprise someone special with this heartwarming fall bouquet, hand-arranged in a hand-glazed stoneware crock that's sure to be a year-round décor and kitchen favorite! 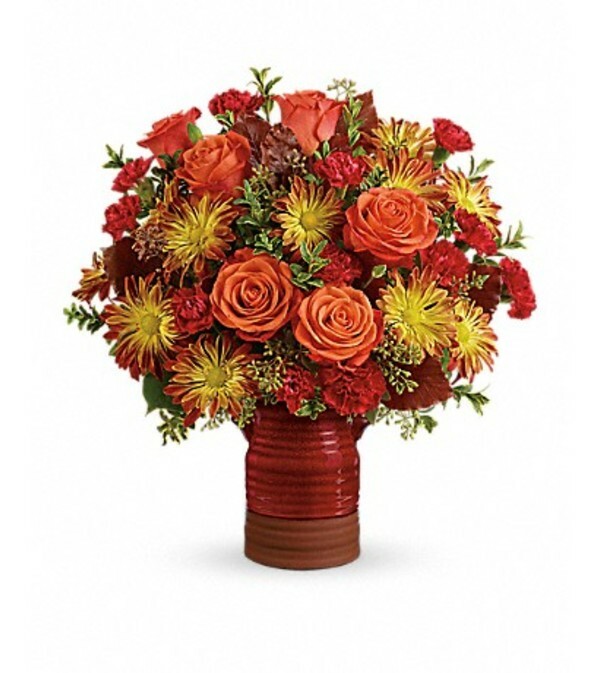 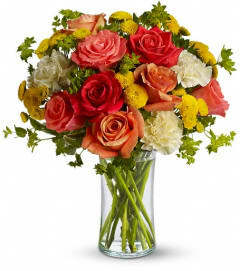 Orange roses, red miniature carnations, and bronze daisy spray chrysanthemums are accented with seeded eucalyptus, oregonia, lemon leaf, and burgundy copper beech. 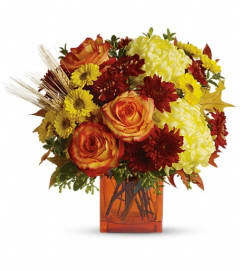 Delivered in Teleflora's Heirloom Crock.